See the Sights Above and Below the Waves on this Package. See the best of the country in this Costa Rica diving adventure. Begin your trip by exploring the area of Arenal, famous for its majestic volcano and myriad of eco-tours.You will be staying in the hotel rated “Most Romantic” in the whole of Central America, the Arenal Nayara. Enjoy sushi in the volcano view restaurant or a glass of fine wine in the specially built wine bar. WiFi is available throughout the entire property, including the lush tropical garden. From the overland adventures of Arenal you will be taken to the Costa Rican Pacific where you will stay in one of the country’s most exclusive properties and scuba dive near the world famous Catalina Islands! 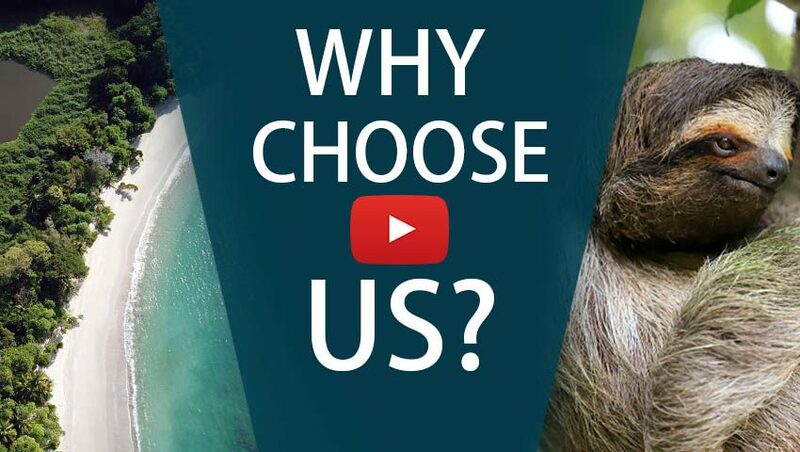 The hotel also offers access to some of the best surfing beaches around and features a spa to help relax you after all the adventure. Day 1: Welcome to your Costa Rica diving adventure! Fly into San José, where one of our representatives will meet you and show you to your private transfer. From here, travel to La Fortuna where you will be staying at Arenal Nayara Hotel. Go on a hiking tour where you will see the Arenal Volcano in all its glory. See exotic animals and plants as a guide points out interesting facts about the area. 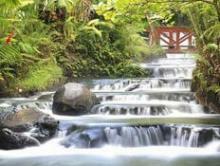 Finish your day by relaxing at Tabacon Hot Springs, one of the most exclusive natural spas on the continent. Take a private transfer from Arenal to Tamarindo, where you will be staying at Cala Luna Hotel. Relax in your room at Cala Luna or hang out by the pool. You can also take a short walk to the beach or indulge yourself with the restaurant’s culinary delicacies. Go on a scuba diving tour! See angel fish, jacks, snappers, grunts, octopus, and eels as you dive in spots with depths ranging from 40 ft. to more than 100 ft! 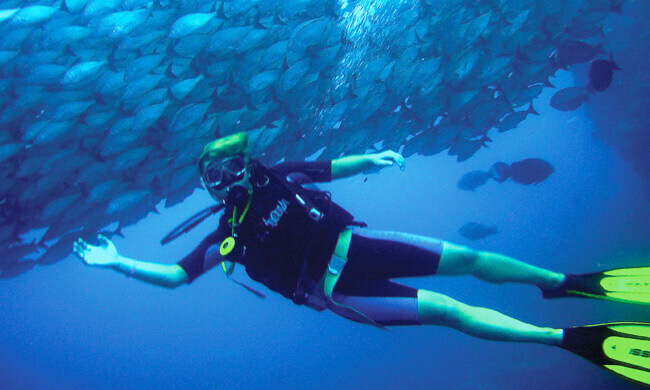 Go scuba diving off the coast of Flamingo. See the magnificent Catalina Islands and discover the richness of the ocean life. 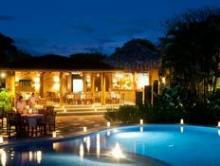 Make the most out of your stay at Cala Luna or visit the local shops and restaurants in Tamarindo. A private transfer will take you to the Liberia Airport where you will board a flight back home. This eco-chic paradise offering serene setting and fantastic service is perfect for honeymooners, couples, and families looking for peaceful ambiance close to a bustling town. 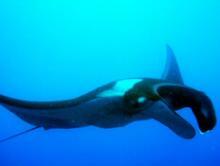 The Costa Rican Pacific coast is home to some of the most stunning scuba diving spots on the continent. On this tour you can experience these places for yourself!